I recently visited a major speaker manufacturer with cutting edge technology. The layout of the facility demonstrated clearly how much the company cares about its products. The main reception area had a demo area and my host demonstrated just how loud he could make the music without jeopardizing the quality of the sound. This company was passionate about sound technology. It got me thinking about what the layout of a distribution center might say about how passionate a manufacturer is about the products it makes. As I walked out of my meeting, I saw that an Amazon fulfillment center was located just next door to the company. The building was huge, at least a million square feet. I was amazed at this demonstration that Amazon has figured out how to leverage scale in game changing ways. Amazon has built its brand around convenience, even more than price. The company’s service levels shift buyer expectations and that expectation has shifted the buying habits of many consumers. The world has even coined a term for it: The Amazon effect. 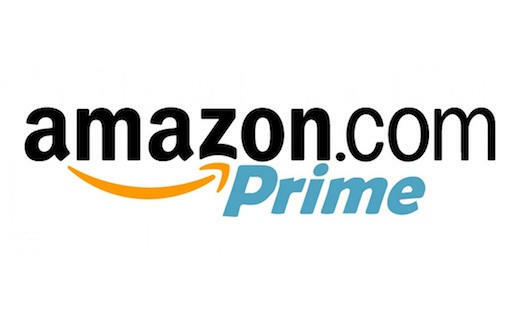 Amazon Prime has made free two-day delivery the norm for many customers. Just a few years ago, that was unthinkable. Of course, Amazon isn’t the only example of retail giants creating new customer expectations. Costco is a weekly ritual for some families. It is known for good quality products (in big quantities). Further, the company has a generous return policy and regularly hands out product samples. It has built itself into a one stop shop where you can get almost anything, from food delicacies around the world to big ticket items, including cars, furniture, or even a new car. Then, as you leave, you can fill your tank with gas or get new tires. And on top that they have figured out to create this buying power from their vendors leveraging their economy of scale. I wouldn’t be surprised if Costco had inspired someone at Amazon to come up with Amazon Prime. Consider the similarities. Amazon scale has created a warehouse club membership model in the online commerce world. Amazon Prime gave users convenience, easy returns, two-day shipping, and more. Then Amazon extended the advantages by including videos, books and music. Next, they added a grocery service to deliver heavy consumables, such as diapers or paper towels, at a discount. They created an environment where the customer could get literally anything they wanted. It eliminated pain points such as having to do shopping chores every weekend. Amazon Prime is a master stroke that transformed consumer buying habits. There’s no way other companies can readily compete. That’s what disruption looks like. Traditional retailers, especially those pushing high-tech products, are going to need to compete in this new world to stay afloat. I think are some clear paths forward. Through Costco and Amazon Prime, today’s consumers are used to the club model. They are used to being loyal to more than one. I believe that there is room for at least two more membership based services. The retailer who can put this sort of model into the mix with its brick and mortar locations will have a powerful advantage. There’s no getting around the reality that consumers are expecting higher levels of service than ever before. Same day shipping, two-day shipping, delivery windows and more are table stakes. To compete, winning organizations will build the best supply chain and leverage technology, such as wearable or warehouse execution systems (WES), to increase efficiency even more. Traditional retailers are leveraging store locations in a big way to give users more choices about making returns by mail or in-store. Customers value the ability to walk into a store to exchange a product for just what they need. This will allow for guaranteeing one- and two-day shipping. A portion of the retail location would need to be dedicated to e-commerce fulfillment. A mini warehouse management system (WMS) would be needed in the store to support order fulfillment. Distributed Order Management Systems help manage inventory at the store level, so retailers can fulfill the order from the store closest to the consumer. On-demand and crowd-sourced models are cropping up all over the place. By identifying and partnering with such services, retailers can take advantage of a lower cost model. Amazon and Costco haven’t cornered the market on retail disruption. What ideas do you have? How will these shifts change your supply chain? Let us know what you think in the comments section below.